The Colours Call Website is proud to offer a high quality framing service (UK only) to compliment the prints and original pieces of art that are available in the gallery and on the website. 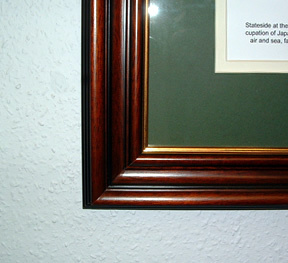 Our M2 and M3 mahogany frames shown below are a perfect companion for any purchase and both only cost £95. This represents an amazing cost saving and will usually save you up to £100 or possibly even more when compared to framing charges elsewhere. 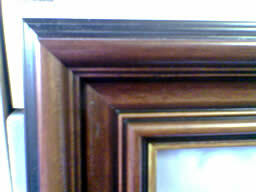 Our wider M3 Mahogany frame for Giclee's canvas prints and originals.